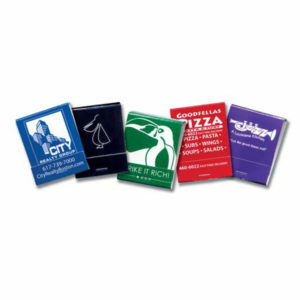 Promote your brand with BIC quality. Resell for profit, and promote your BRAND. Smoking is social, people share BICs. * Light Assortment (600 min): White, light blue, green, yellow ALL with black print. * Dark Assortment (600 min): Black, dark blue, red, orange ALL with white print. Rush service: not currently available. Custom Bic lighters are a hazardous material (hazmat) to ship. Someone will have to be at delivery address to sign for lighters. All orders 5,100+ require a commercial delivery address, truck comes with lift gate. Residential deliveries 5,100+ subject to additional shipping charges. 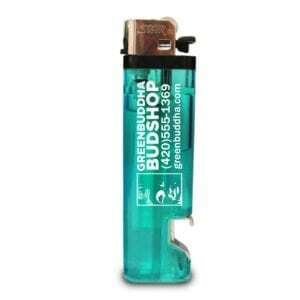 Why Advertise with Customized BIC Lighters? Smoking is rarely done alone. Whether smokers are taking a break during work, out with friends or even just outside their own homes, they are usually with co-workers, friends and neighbors. Imagine the reach a simple lighter can have in these common scenarios. An office worker taking a smoke break can suddenly go from one loyal customer to a fan promoting your brand to co-workers. An eye-catching lighter can prove a perfect conversation starter in social situations. And the impact will only multiply from there. Habitual smokers tend to use their trusty, dependable Bic lighters for a long time, increasing the chances of starting a conversation about your brand for years to come. 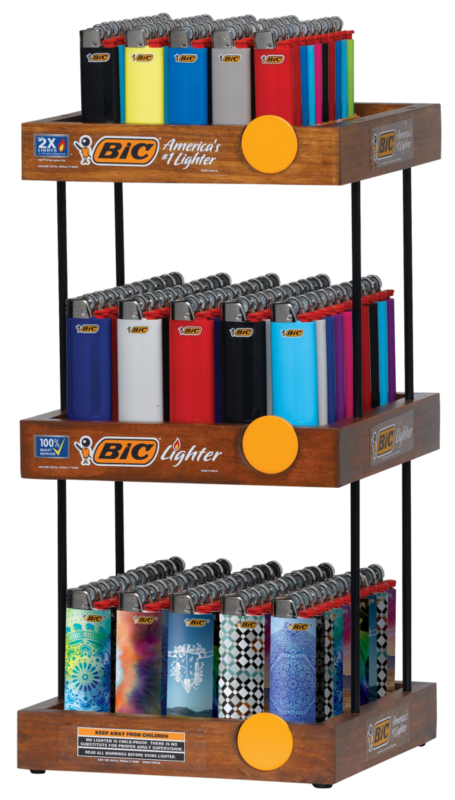 The small investment of a customized Bic lighter can pay dividends for the entire life of its guaranteed 3,000 lights. 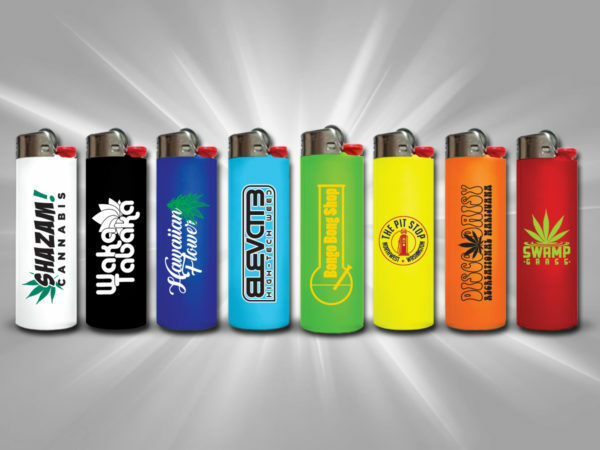 Get your brand name or product into the right hands with customized BIC lighters. Smoking is often a social activity, making it a great way to reach groups of potential customers and turn them into loyal fans. Get your logo onto these custom printed Bic lighters. Choose up to eight colors on both sides of the lighters and enjoy free rush shipping for up to 1,000 lighters (one color and one text location only). Make your logo memorable, interesting and aesthetically appealing to create a lighter that is more than just a lighter – but also a conversation starter, an advertisement for your store and a means of constantly reminding customers about your products. 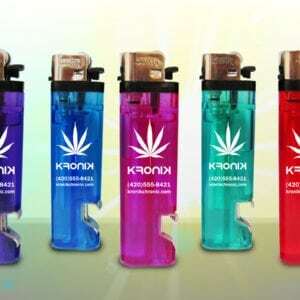 Whether you sell these lighters in store or distribute them as part of a promotion, custom designed Bic lighters are sure to pay you back with new customers and loyal fans. Don’t let your brand lose its identity. 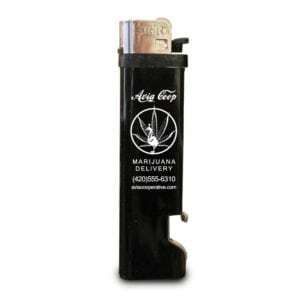 A customized Bic lighter advertises your company your way. 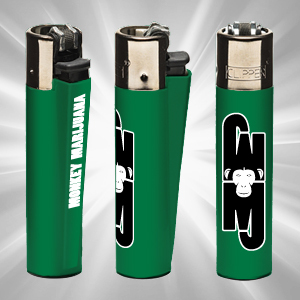 The custom designed logo on each lighter represents you exactly the way you want customers to see you. Of course, that also means a killer logo will be crucial. Make sure the impression customers get from your lighters truly represents you. Whether you want customers to see you as professional, fun, creative or clever, your logo will need to reflect your company’s core identity. Not everyone who has a lighter uses it for smoking. 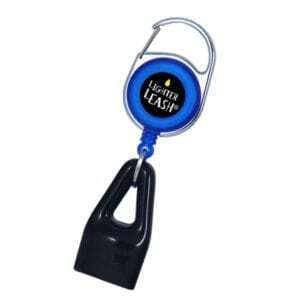 Lighters have a slew of practical uses and are easy for people to hang onto because of their small size. A simple, sleek lighter could find its way into just about anyone’s home, especially if the design is aesthetically pleasing. The simplicity and appeal of an ordinary lighter should not be underestimated. 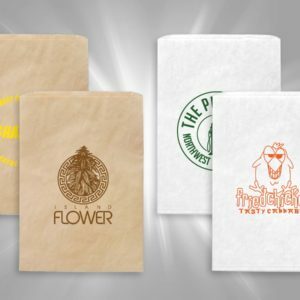 Unlike bulky promotional items and disposable fliers, a lighter is an object that can keep your company close at hand for consumers for a long time. You only get a brief moment to make a lasting impression. People have short attention spans. They need a quick and easy way to meet your brand and understand what it’s all about. 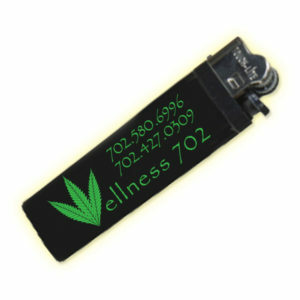 A customized Bic lighter is a great way to reach people in just a couple seconds. Make sure they remember who you are and what you do after just a glance. That will also make it more likely that they’ll evangelize your company to their friends and family. 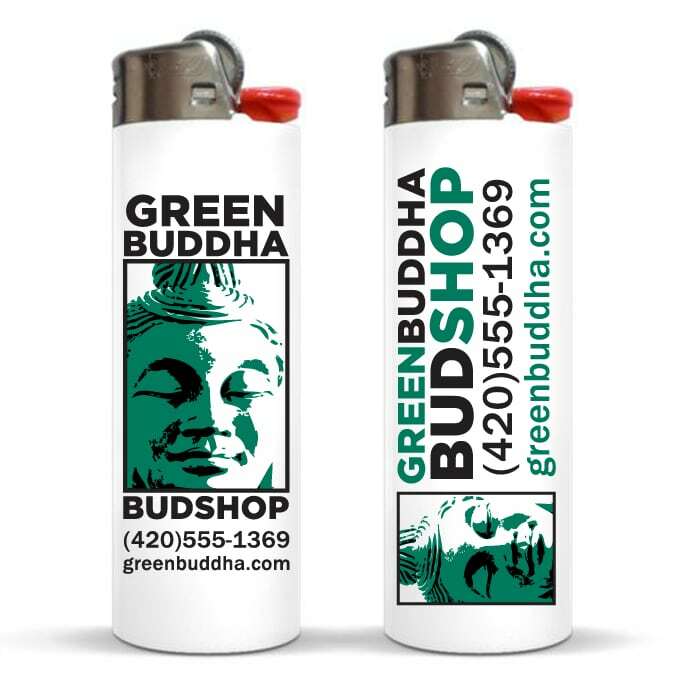 A good logo on a portable object such as a lighter can mean multiple conversations about your company and a slew of new customers. But it all starts with a fantastic first impression that leaves lasting good feelings among customers. Read on for our design guide to find tips and advice on how to cement that initial positive impression among customers. Lighters aren’t only for smokers. Many people have a lighter with them at all times even if they don’t smoke. Sometimes they’ve gotten this lighter as a free promotion. Even people who don’t smoke will accept a free lighter if the design is interesting, fun or attention-grabbing. 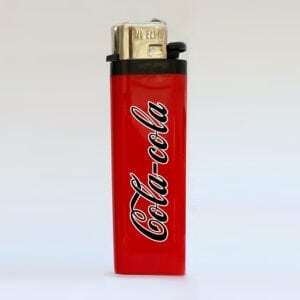 Therefore, lighters can be a great way to get your name out even to people who are not your core consumer audience. Don’t overlook people who use lighters for reasons other than smoking. People keep lighters in their pockets, purses and homes for reasons like lighting candles or simply because they enjoy the art on the lighter. 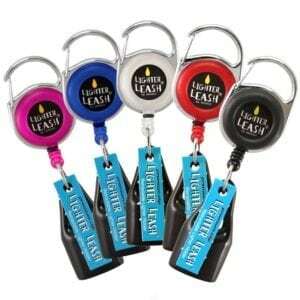 The versatility of lighters makes them a great way to advertise your name and products. A lighter with an interesting logo design can start a conversation that gets your name out to unlikely customers who didn’t even realize they were curious about your products. 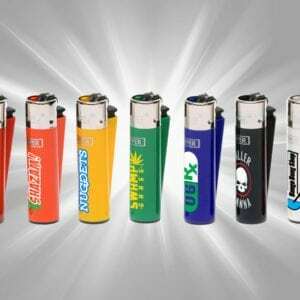 Whether you sell your customized Bic lighters or give them away as a free promotion to customers, make sure they remember you. 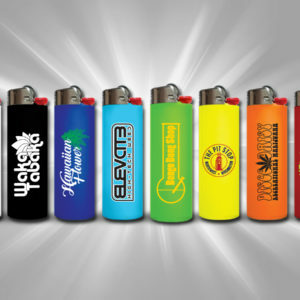 Every dispensary, smoke shop and convenience store has lighters for sale, so make sure yours stand out. A memorable design will pay for itself with new customers who become loyal fans of your brand or store. Think about what makes your shop different from competitors and carry that over to your lighter and logo design. Social smokers will not only use your lighter, but also remember why they chose you over other brands. Not everyone who starts a business is also an expert graphic artist. If that describes you, don’t worry: just because you aren’t a graphic artist doesn’t mean you can’t have a great logo that customers love and remember. There are a few basics that anyone can learn and keep in mind to make a great logo. First, think carefully about your brand and the kind of imagery that accurately represents your store and products. Now look up the competition. Seeing a lot of the same design over and over? That doesn’t make for a memorable impression. Try to avoid cliches and boring designs that are getting used by everyone else. Plenty of dispensaries advertise with just a simple green leaf and while that is a quick way to advertise their products, it doesn’t make for a lasting impression. Think about what your dispensary or smoke shop offers that your competitors do not. Now that you have an image in mind, consider the colors and words that will go along with that image. Both of these are discussed in more detail below, but the best advice is to keep things simple. Too many images, words or colors can come across as visually confusing. Your customers will be left with no impression at all if they can’t figure out what they’re looking at. It can be hard to pare down your ideas to just a few key points, but doing so is one of the most important first steps in designing a logo for a custom lighter. At 1″ x 3.25″ in size, our lighters can accommodate 0.75″ x 2.125″ of type. Keep size restrictions in mind when coming up with a logo. The ease and portability of a lighter comes at the cost of advertising space. DON’T confuse your customers. Less is more. DON’T copy everyone else. An original design is far more memorable. DON’T change too often. Keep your logo consistent or make only small tweaks to improve it. This will make your custom lighters a true representation of your business for years rather than months. DON’T go overboard on details or fonts. One font is usually enough for any logo. Plus, too many words or details will be difficult to see on a lighter. Try to express your brand simply and concisely. DO know your audience. Think about what your customers would enjoy carrying around in their pockets. DO strive for simplicity. Catch their eye on the first impression with a clear and simple design. DO try to be original. Set yourself apart from the competition by researching what everyone else is doing and going for something different. DO get feedback. Test out your designs among your employees, friends and customers. Listen to their feedback to identify what works and what needs some editing. Lighters don’t allow for a ton of space for text. Choose your words carefully. You should try to put as few words as possible on your logo, whether it’s on a lighter or a billboard. Customers get a quick impression from the colors and design and only see the words after longer consideration. So think carefully about which words your logo needs, if any. If you do put words on your logo, the font those words are in is just as important as the words themselves – if not more. Type can be clear and striking, or a confusing mess that leaves people scratching their heads. Many brands these days are using sans serif fonts (including Google) because this font is simple, clear and easy to read. But which font you choose depends on your company and the message you want to convey. Keep in mind that elaborate fonts are harder to read, especially at a quick glance. Start by choosing a few fonts and seeing which you prefer. This way you simplify your choice, because there’s really too many fonts to choose from and you can’t go through all of them. You can also look up which fonts other brands are using. Even unrelated companies like Google have a lot to teach about effective logo design. 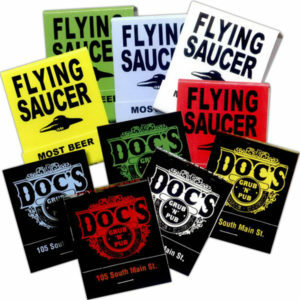 A good logo is a good logo, whether it’s on a search engine or a smoke shop. Finally, ask around. See what others think of the font and whether or not it is clear to them. Color is just as important as the typeface. Color is one of the first things customers will see when they look at your custom designed lighters. A lot of colors may leave a murky impression, while just one could come across as boring and unmemorable. The balance likely lies somewhere in the middle, but finding just the right combination of colors depends on your particular brand. You don’t need to be an expert on the color wheel to design a good logo, though understanding some basics about color helps. Color affects mood and the palette of your logo can impact how people feel about your brand. Choose colors that complement each other. Contrasting colors can be jarring to the eye, while colors that are too similar may blur together in a way that customers find boring. Look at other brands’ colors, from McDonald’s iconic red and yellow to the more colorful yet still striking Mozilla Firefox logo. 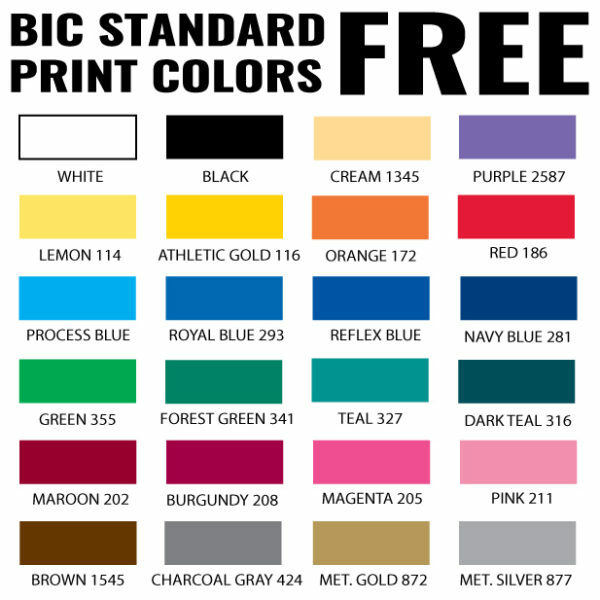 Figure out which colors your competitors are using: This could be the perfect place to set yourself apart! If you aren’t a logo designer, don’t worry. The bottom line is: Make it memorable, keep it simple and get your point across. Not everyone is a logo designer, but luckily your logo is only one piece of your brand. 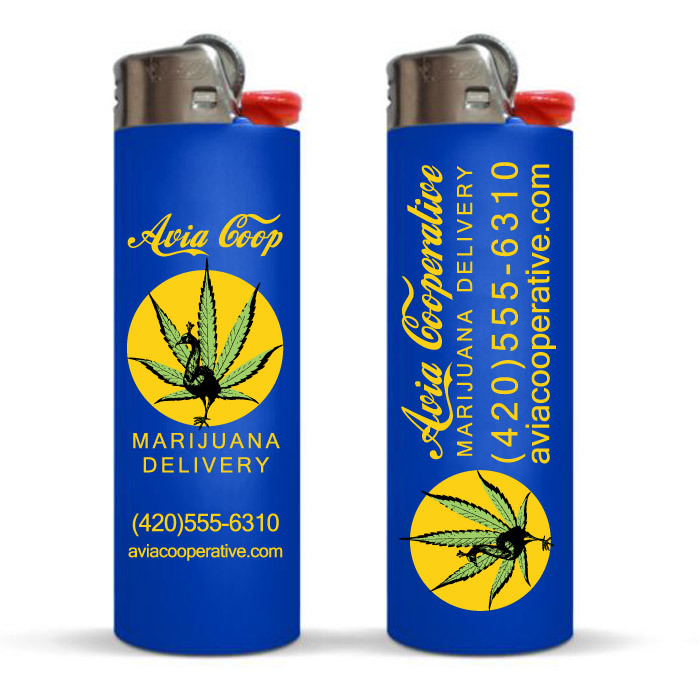 Stay flexible, listen to feedback from customers and co-workers and get your custom designed lighters into the hands of your fans to promote your business. If Bics don’t light a fire in your eye, maybe Clippers will! Bic’s aren’t the be-all-end-all promo lighters of choice. Some prefer Clippers. Visit our custom clippers page to see if a different style of lighter might suit you better. 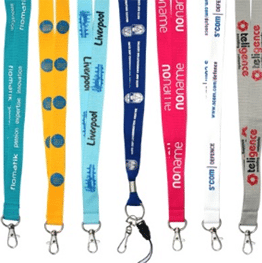 These are great for freebies at trade shows. Jennifer was very helpful in getting all my lighter colors right. Print came out great. Amazing custom products. Impeccable turnaround time. Stellar customer service and communication. Jennifer was beyond! We will be getting many of our lighters and products from here! Everything was high quality and the team went above and beyond to help us with our order! My custom lighters came a week earlier than expected, and for sure looked better than I imagined when I received them…I ABSOLUTELY LOVE THEM! Dave was the BEST at keeping me updated on production/shipping time. I will definitely be making lots more purchases from Ganjaprint!